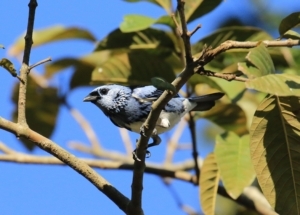 Even though it’s just a year since we published our last note on the sighting of the Shrike-like Cotinga in the recent news section of the web site, once again, birders are seeing this species on the lowlands in July. 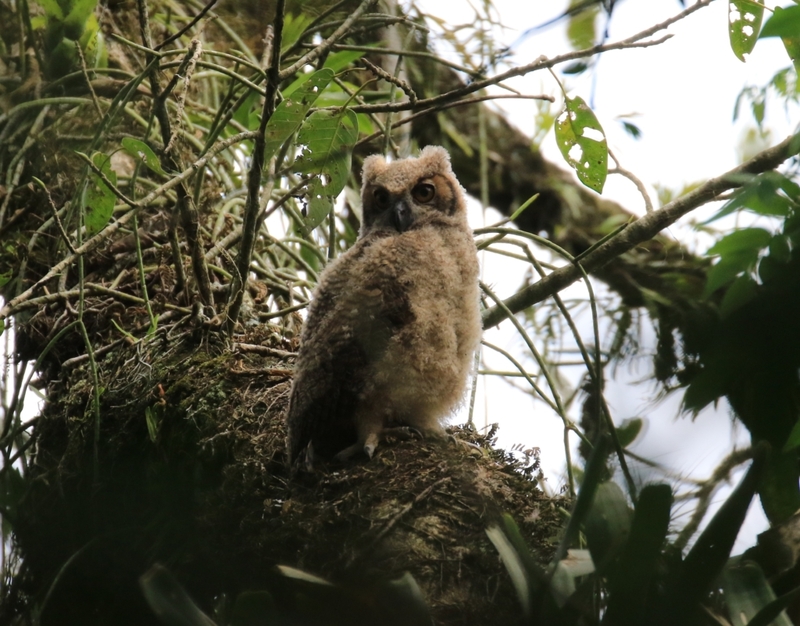 We have the distinct feeling that it seems to staying longer on the lowland part of the reserve, before making its way up the mountains to disappear in January when presumably it is breeding. 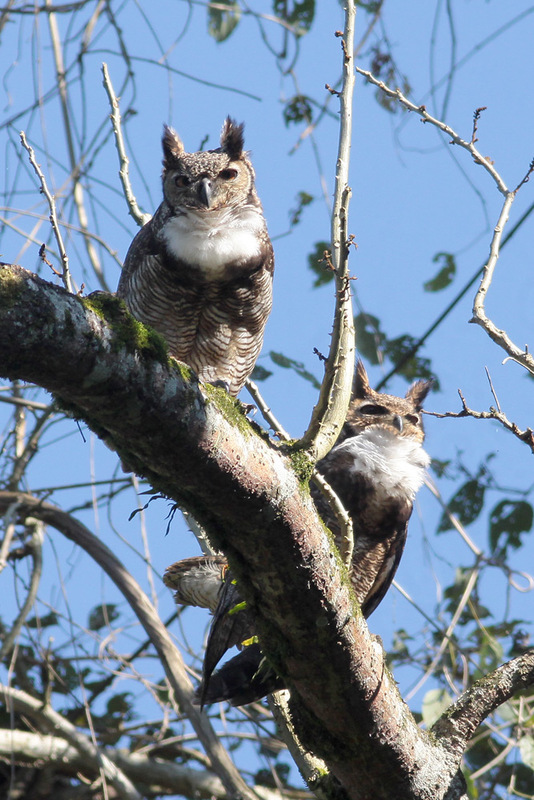 Both Adilei and Cirilo, REGUA’s Bird Guides, have taken many guests to see this Neotropical species, one of the most iconic species of the Atlantic Rainforest. Please come along to visit us at the British Bird Fair Rutland Water, UK from 17th to 19th August we shall be in Marquee 1, stand 37 where you can speak to our UK team to find out more about this and a host of other species and plan your visit to see them for yourself. 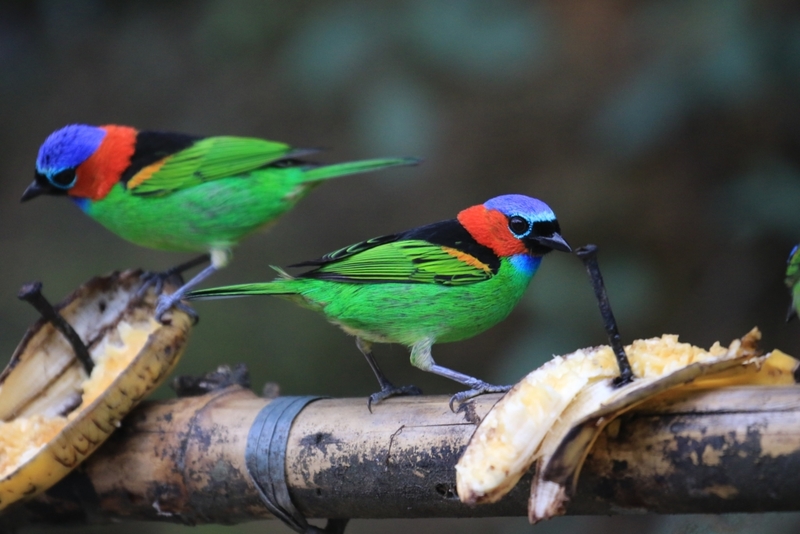 Whilst birders pack their binoculars, telescopes and long camera lenses to photograph the wonderful Neotropical birds at REGUA, we often reflect on why these colourful tanagers are found at different altitudes, as if the bird’s territories are indeed stratified. 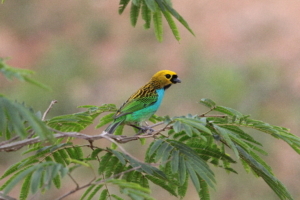 In my garden, at low elevation, we often find the Green-headed tanager flying in mixed flocks together with Violaceous Euphonia and Blue Dacnis. 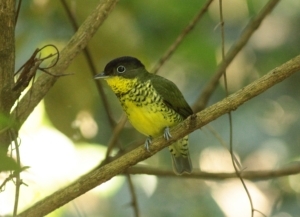 Occasionally a woodcreeper, xenops, ant-tanager and even a White-barred Piculet will share the flittering spectacle as they look for insects between leaves, for small fruit and any other tasty morsels. 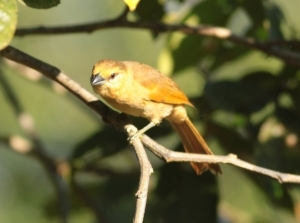 However we do not find the mid-elevation Brassy-breasted Tanagers, whose busy flocks are only to be found at the higher altitudes. 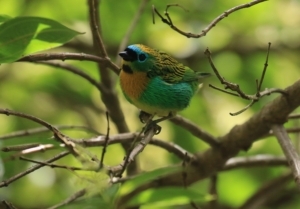 Where can we see the Gilt-edged Tanager? 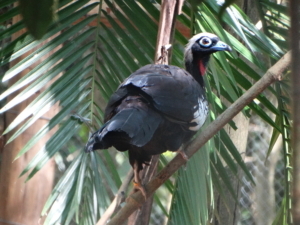 Occasionally they will be seen at the very top of the mountains or on the drier leeward slopes of the deciduous Mata Atlántica. This shows us that these colourful beauties help to indicate the altitude, that tanagers aside from their natural colourful plumages are “stratospheric” in more ways than one. The Rufous-sided Crake (Laterallus melanophaius) is one of my favourite wetland bird species. 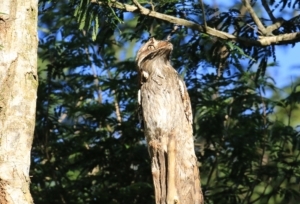 Walking around the wetlands, if one hears a shrill resembling a rising crescendo, you can be sure that this little bird is quite close, yet very hidden. To see it is quite another matter. 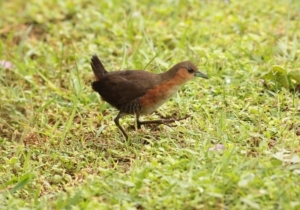 The Rufous-sided Crake’s distribution is limited to Brazil and bordering countries, and though it’s considered “least concern”, not much is known about it as it is so incredibly secretive. 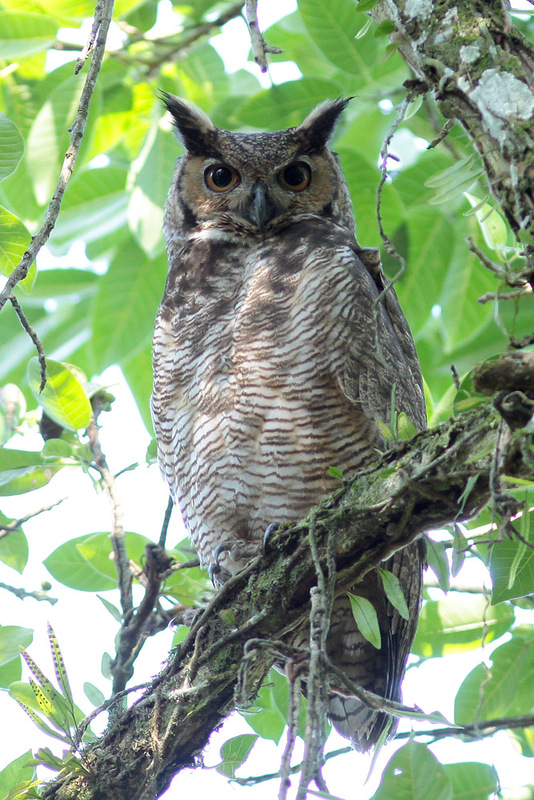 They are best found if you are walking around the wetlands early morning or late afternoon when if you are quiet, you can get good views of this bird as it scuttles across from one lake to another or watch as it probes around for small insects to eat. 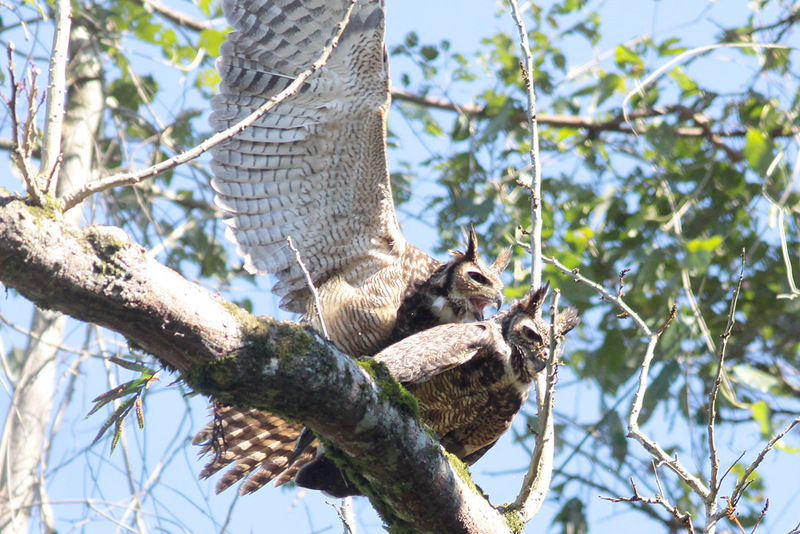 Sometimes they forage in pairs and move around very quickly. 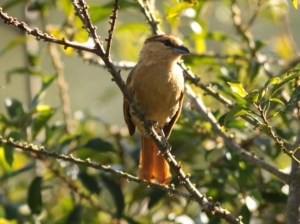 The colours are gorgeous and when a little light catches the rufous feathers, it gleams.